SHEEPSHEAD BAY, Brooklyn -- Firefighters have contained a 7-alarm brush fire burning in Brooklyn. 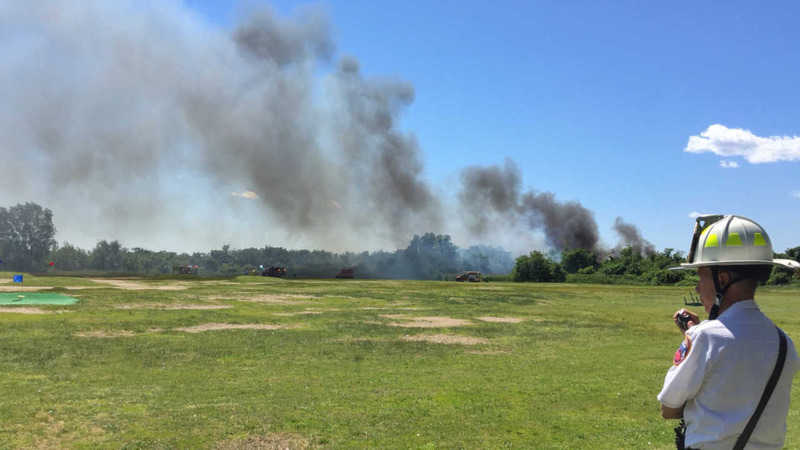 The fire broke out Sunday afternoon near Knapp Street and the Belt Parkway. One firefighter suffered a minor injury. All lanes are currently closed in both directions of Flatbush Ave between the Marine Parkway Bridge and the Belt Parkway.